One thing that only a mom in my position would understand is this: I feel like I have each foot in two different worlds: the autism world and the neurotypical world. I have two sons -one who is neurotypical and one who has autism. As we settled into Colin's autism diagnosis, I became "an autism mom." Those labels come with being Colin's mom..and I love being Colin's mom. I am also Finley's mom, and I love being his mom, too. My work with the Mountaineer Autism Project is because of Colin, and I spend a lot of my time in the autism world. 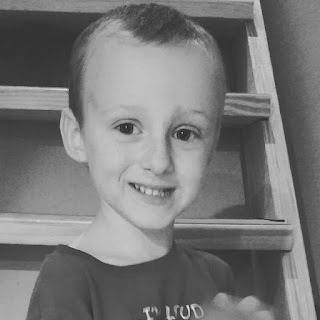 Sometimes, though, I step out of the autism world into Finley's neurotypical world. 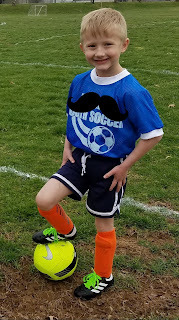 Today in Finley's world, I gained a new title: soccer mom. I always imagined that I'd be a soccer mom. I played soccer, my brother played soccer. We were a soccer family. When given the choice between baseball and soccer, Finn chose soccer. Thank goodness. I started to wonder how this would pan out. Would Colin be able to go to his brother's games? Would we have to take turns going to games and staying home with Colin? Would we need to get a babysitter for Colin? Would Colin run if we tried to take him to a soccer game? So many questions and things to think about/plan for. Today was Finley's first game (they actually played TWO games today!) We braved it, and Colin came to the game. I figured if it was too much, one of us would just have to take him and leave...but he completely surprised me. 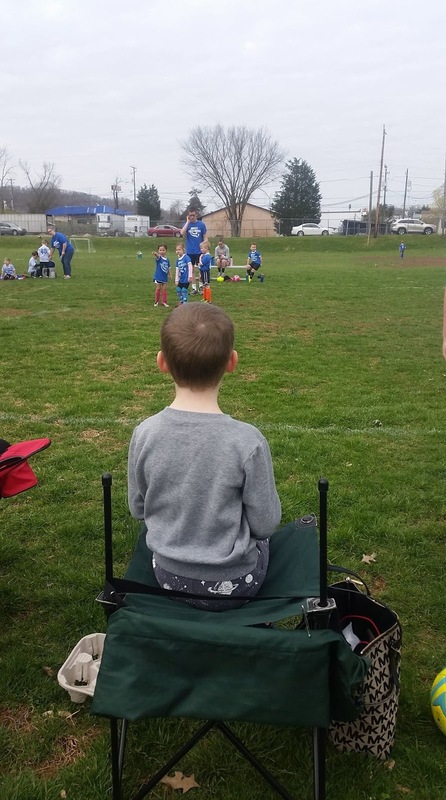 Colin sat and watched his brother play his first soccer game. He even clapped and yelled "yay!!" several times. Colin made it through both games! He maybe had my phone for a majority of it...it is possible that he drank a can of Coke and ate a bag of Cheetos...and he maybe found a dirt pile and played with a worm for a chunk of the game...but he was there. He was happy to be there. He listened to us when we said, "Come back," or "sit down." He watched his brother play soccer, and Finley heard his little brother saying, "yay!" when everyone cheered. We got to do something as a family. 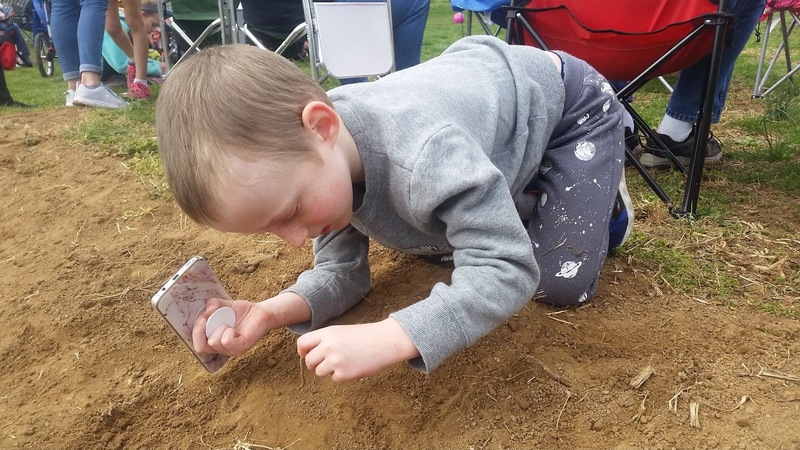 Finley was able to do his thing with the support of his whole family. We didn't have to switch out, or take turns with one of us missing parts of his game. And his brother was there for him, and I know that meant so much to him. If you don't have a child with autism, you might take for granted that you can go to your child's sporting event with their siblings in tow, but I don't take it for granted. This is something that, just a year ago, we wouldn't have been able to do. I am so thankful for ABA and how much it has changed life for our family. I am so thankful for Finley, that he pulls us out into the world when it might be easier to stay home. I am thankful that he wants his brother there with him. I'm also thankful for the laughs he provided today as he flossed on the soccer field, did cartwheels during the game, and when told to "steal the ball" he yelled "I'm too nice!"